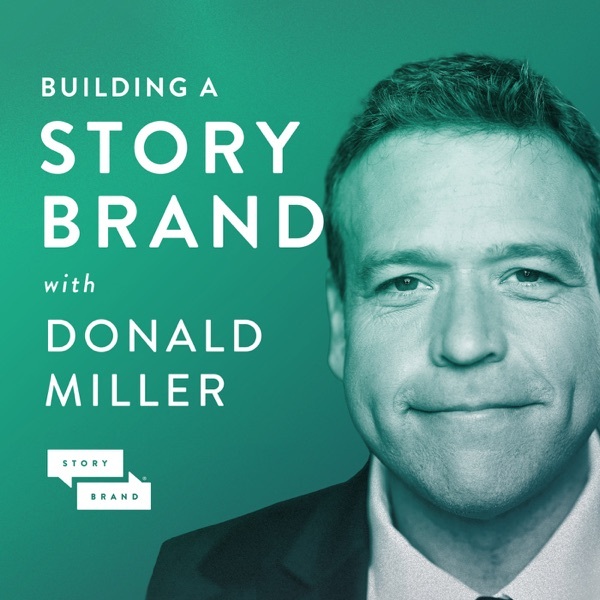 Building a StoryBrand with Donald Miller | Clarify Your Message So Customers Will Listen | Listen Free on Castbox. If you’re frustrated because you struggle to get the word out about your product or service, the Building a StoryBrand podcast will help. Fans of the podcast are ecstatic about the fun and entertaining way Donald Miller brings you practical advice about clarifying your message so customers will listen. Don and the StoryBrand team are the world's leading experts in harnessing the 2,000 year-old proven power of story formulas to get people talking about your brand. Get your message out, grow your company, stand out in the marketplace, and have a blast doing it! Past guests: Seth Godin, Patrick Lencioni, Daymond John, Rachel Hollis, Ken Blanchard, Mel Robbins, Dave Ramsey, Scott Hamilton, Auntie Anne, Charles Duhigg, Daniel Pink, Blake Mycoskie (TOMS), Chris Anderson (TED), and so many others. Behind Willie Robertson’s success in the reality show “Duck Dynasty” is a powerful story of American entrepreneurship. Today on the podcast, he and Don share an honest (and hilarious) conversation about Willie’s journey as an unlikely CEO. How can we process well through failure? What’s the key to staying true to yourself in success? How do our family and faith impact us as leaders? There’s lots of wisdom here for any business leader -- listen now! So much productivity “advice” these days will help you cut down your workload. That’s great! But if you fill that time back up again with more work, that’s a surefire way to burn out and compromise the relationships in your life that really matter to you. Today on the podcast, Michael Hyatt gives us a radical new approach to productivity: what if we can keep achieving at work and still be present for what matters in life? If you’re tired of the hustle and want to design a more intentional life, make sure you listen to this episode. Shannon Sedgwick Davis is the CEO of Bridgeway Foundation, the foundation arm of a capitol management firm that gives half of its profits away, and with that money, she fought a Ugandan warlord. Yes, really! She’s on the podcast today to share the extraordinary story. Plus, she inspires us to consider how our businesses can help turn the tide on the social issues that keep us up at night. Listen now! Running a business can (and will) mess with your emotions. And when our emotions take over, the rational part of our brain shuts down. Not a good thing when you’re making high-stakes business decisions. Sean Webb show you how to “hack” your happiness so you can control how you respond in charged situations. Listen now! You may have the finely honed skills of a leader, but people won’t follow you unless you have the heart of a leader. And that’s what we’re talking about today with Mark Miller. He’s the VP of High Performance Teams at Chick-fil-A, and he shares 5 character traits of strong leaders. If you’re ready to become the kind of leader people want to follow, listen to this episode. As a business leader, you’ve got to pay attention to what’s going on in the world. But with 24-hour news cycles, constant outrage, and endless “hot takes,” it can feel impossible to truly understand the issues. To help us make sense of it, Don sits down with CNN analyst Kirsten Powers for an honest and nuanced conversation about how we can process the news in complex times. If you lead a business, you’re constantly negotiating -- even if you don’t realize it. Make sure no one’s taking advantage of you, with help from today’s guest. Chris Voss is a former FBI hostage negotiator, and he understands the neuroscience that drives any negotiation. He sits down with Don to help us apply those tactics in our everyday lives as business leaders. If you want to approach your next deal with confidence, don’t miss this episode. As the Governor of Tennessee for the last eight years -- and a successful business leader before that -- Bill Haslam knows a lot about leadership. In this special episode of the Building a StoryBrand podcast, he joins Don for an earnest and inspiring conversation. Whether you lead in the public or private sector, you’ll find practical wisdom that’ll sharpen your leadership skills. How did one family-owned business crank out a 90% conversion rate (!!!!) for their golf course fertilizer -- even when their product cost more than their competitors’? They showed their prospects how great life could be once they buy -- and they did it in a wild and wonderful way. David Pursell, the CEO of Pursell Farms, tells the whole story this week on the podcast. It’ll inspire you to think creatively about your sales process, too. #136: David Pursell—What If You Sold Your Product in a Crazy, Unexpected Way? What will your customer miss out on if they don’t buy your product or service? That’s the power of “FOMO” - or “Fear of Missing Out.” And as marketers, it’s critical that we create it -- without resorting to cheap fear tactics. That’s why we’re excited to have Matt Ford on the podcast. He’s the creative force behind experience-driven marketing campaigns for Hulu, Adidas (among others) that customers don’t want to miss out on. Learn how you can apply this powerful strategy to your own brand! over religous on this one. everyone is different. love this episode! So many things I need to change in my weekly work schedule!